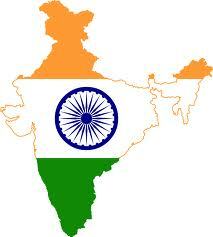 India is the world’s largest, oldest, continuous civilization. India is the world’s largest democracy. Varanasi, also known as Banares, was called “the ancient city” EVEN when Lord Buddha visited it in 500 BC.E, and is the oldest, continuously inhabited city in the world today. The World’s first university was established in Takshashila in 700BC. More than 10,500 students from all over the world studied more than 60 subjects. The University of Nalanda built in the 4th century BC was one of the greatest achievements of ancient India in the field of education. Sanskrit is the mother of all the European languages. Sanskrit is the most suitable language for computer software – a report in Forbes magazine, July 1987. Ayurveda is the earliest school of medicine known to humans. Charaka, the father of medicine consolidated Ayurveda 2500 years ago. Today Ayurveda is fast regaining its rightful place in our civilization. Although modern images of India often show poverty and lack of development, India was the richest country on earth UNTILL after the time of British came over & infiltrated India in the early 17th Century. Christopher Columbus was attracted by India’s wealth. The art of Navigation was born in the river Sindhu 6000 years ago. The very word Navigation is derived from the Sanskrit word NAVGATI. The word navy is also derived from Sanskrit ‘Nav’. The value of pi was first calculated by Budhayana, and he explained the concept of what is known as the Pythagorean Theorem. He discovered this in the 6th century long before the European mathematicians. Aalgebra, trigonometry and calculus came from India.Quadratic equations were by Sridharacharya in the 11th century.The largest numbers the Greeks and the Romans used were 106 whereas Hindus used numbers as big as 10**53(10 to the power of 53) with specific names as early as 5000 BCE during the Vedic period.Even today, the largest used number is Tera 10**12(10 to the power of 12). IEEE has proved what has been a century old suspicion in the world scientific community that the pioneer of wireless communication was Prof. Jagdish Bose and not Marconi. According to Saka King Rudradaman I of 150 CE a beautiful lake called Sudarshana was constructed on the hills of Raivataka during Chandragupta Maurya’s time. The four religions born in India, Hinduism, Buddhism, Jainism, and Sikhism, are followed by 25% of the world’s population. Famous Quotes on India (by non-Indians) Albert Einstein said: We owe a lot to the Indians, who taught us how to count, without which no worthwhile scientific discovery could have been made.Mark Twain said: India is, the cradle of the human race, the birthplace of human speech, the mother of history, the grandmother of legend, and the great grand mother of tradition. Our most valuable and most instructive materials in the history of man are treasured up in India only.French scholar Romain Rolland said: If there is one place on the face of earth where all the dreams of living men have found a home from the very earliest days when man began the dream of existence, it is India.Hu Shih, former Ambassador of China to USA said: India conquered and dominated China culturally for 20 centuries without ever having to send a single soldier across her border.